Are you looking for Better Energy reviews? This review will go over the Better Energy company with unbiased information including reviews, which tariffs they offer and if they are likely to be the best supplier for you. Founded in 2010 but launched in January of 2011, this energy company is licensed by Ofgem to deliver gas to both residential and commercial properties in the UK. It is important to point out straight away that Better Energy currently only supply gas. With the motto ‘Same energy, Better price‘, their company mission is to deliver cost-effective energy and exceptional customer service to all of their customers. Skip straight to the Better Energy reviews here. According to their website, they can provide you lower costs for your gas because while they have access to the same wholesale energy like their competitors, their overheads are more moderate, meaning they can charge you less. For an estimate of your average annual gas bill, see the table below. *The Average Annual bill is calculated by using the Ofgem suggested domestic average gas consumption of 12,500kWh and applying the specific tariff charges. Is your home eco-friendly? It could save you money on your yearly bill. According to the Better Energy website, there are four steps involved in switching supplier to them. Remember to always check Better Energy reviews as well as comparing quotes to ensure you are getting the best deal for you. First of all, Better Energy suggests comparing all of their available tariffs to ensure that you are getting the best deal with the best benefits for your needs. For instance, their fares have a range of different extras, like choosing to have your bills via post or email, using a smart meter or a prepayment meter and so on. 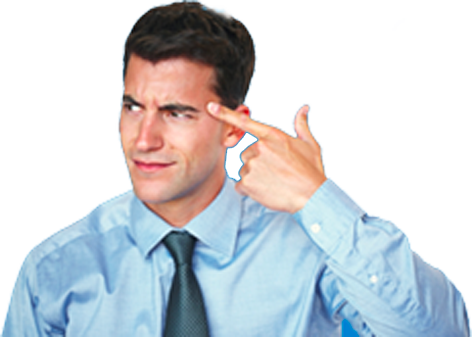 They have an easy to use quotation tool that allows you to get a simple, estimated quote in minutes. Once you have chosen the tariff that best matches your needs, you can complete your application securely through their website. This is where you can choose from a variety of different payment methods and as a result, your preferences. Then, you’ll receive a confirmation of your switch, contract information and usually a schedule. Better Energy will request a meter reading from you before you supply live with them, which you can submit via their website. This is so you only pay once for your gas. This efficient process along with the other benefits of getting your supply from Better Energy like the variety of tariffs and competitive prices makes Better Energy a real competitor to the big six and other independent suppliers. Learn how to become more energy efficient here. As of the time of writing, there are only 12 Better Energy reviews on Trustpilot, plus their page is unclaimed, suggesting that they do not ask their customers to submit reports. 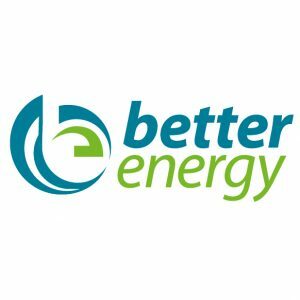 Due to the questionable legitimacy of some of the reviews, this is a balanced review of Better Energy’s customer support. I’ve been compelled to write a good review of Better Energy as a result of spending nearly two hours getting through to “Iresa”. I called Better Energy on my other phone and straight through in less than 5 seconds. If you want a response Customer Service, Better Energy is a good company. Wish I’d never left Better Energy now. With the very limited reviews on Trustpilot, it is hard to give an exact idea of how Better Energy fares against its competitors. However, what can be said is that as of writing, Better Energy has an excellent rating of 58% and an unfavourable rating of 8%, with the rest falling in the middle. In contrast, the negative review seems to be a one-off situation with a customer having an unexpected bill, which can happen with any company for some reasons. Switched to better energy from British Gas, easy and straightforward process. The very low unit rate for Gas and easy to use online service with simplified billing. Called to sort final bill upon moving out and this was processed within a week. Therefore will use again. Administration for the switch was trouble free as was the account set up. However, six months on from the switch they have increased my direct debit by 68%! The reason given is that my account is in debit – not surprising after the winter. When I looked into it further, I found they had set the direct debit artificially low to start with instead of making it 1/12 of my predicted usage. Therefore, this supplier may be useful for those who value customer service and have a smaller business. Better Energy is more likely to be able to cater to your individual needs and work out any issues in a short amount of time. Although Better Energy only offers gas to their customers, their lack of range is made up by their stellar customer support, with many of their positive reviews on Trustpilot stating that they reply quickly to emails and phonecalls. Another positive that customers can enjoy from Better Energy is simplified billing and savings on their current bill.